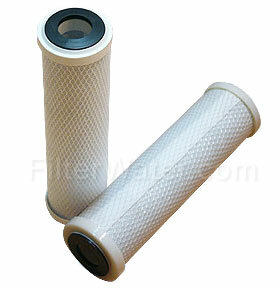 Carbon Block Filter CQ-R5 is a standard 10"x2.5" 5-micron Coconut Shell Carbon Block replacement filter cartridge. 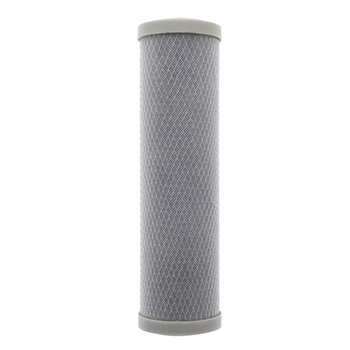 it removes chlorine, bad taste and odor, and organic chemicals that contribute to taste and odor while providing the particulate filtration and dirt-holding capacity of an efficient 5µm nominal sediment filter. The extrusion process allows the production of a charcoal blocks with more carbon, but a lower pressure drop. A long-lasting filter that continues to remove sediment, chlorine, bad taste and odor, and organic contaminants from water through its life span. 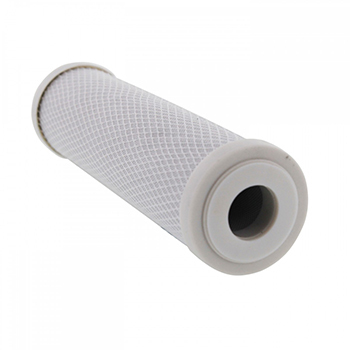 CQ-R5 Carbon Block filter is also widely used in filtering organic solvents, and mercury. 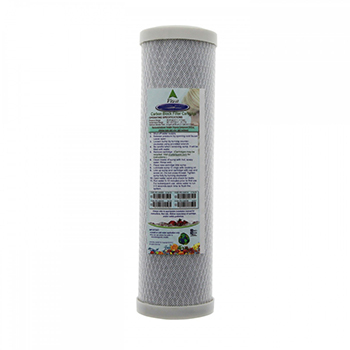 This standard-size coconut shell CCBC 10 inch carbon cartridge is widely used in countertop, under sink, reverse osmosis, residential water filtration systems, and in pool water filtration. Fits many housings that take standard 10" long by 2.5" (or 3") wide cartridges. R5 is also referred to as charcoal water filter. 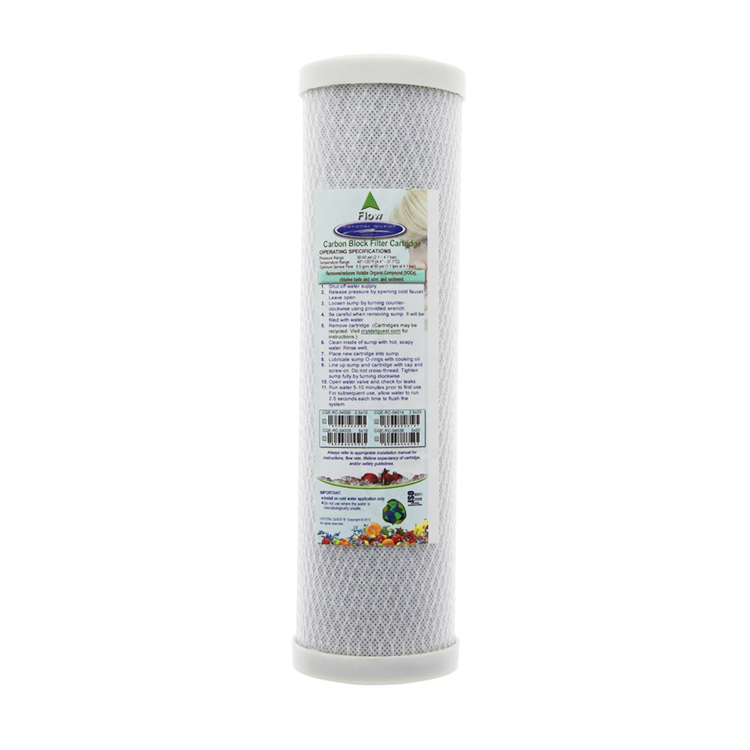 Removes chlorine, bad taste and odor, and organic chemicals. Can be used in counter top, under sink and reverse osmosis systems.